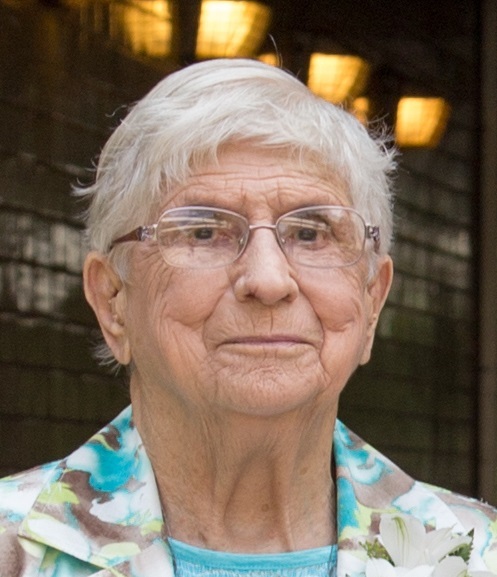 Florence Ella Priestap, age 93, of Stratford, passed away peacefully at Stratford General Hospital on March 30, 2019. Born in Ellice Township, daughter of the late Gustave and Minnie (Koops) Mielke. Following her marriage to Harvey Priestap, August 31, 1946 the couple lived at Seebach’s Hill until 1963 when they moved to Avonbank and then to Stratford in 1970. Florence was an active lifelong member of 1st St. John’s Lutheran Church, Seebach’s Hill. Beloved wife of the late Harvey Priestap who predeceased her March 12, 2003. Loving mother of Wayne Priestap (Rosemarie) and Rev. Doug Priestap (Doris). Grandmother of Nathan (Lorraine), Janelle, Christa Stern (Jim), Sarah Neeb (Keith) and Hannah. Great grandmother of Faith, Alex, Grace, Laura and Rachel. Dear sister of Fred Mielke. Also survived by brother-in-law and sisters-in-law Mabel Mielke and Norval Priestap (Erma) and many nieces and nephews. Predeceased by a son Raymond (1971), brothers Walter (Edna), Art, Albert and sisters Mary Diegel (Wilfred), Dorothy Nowack (Richard), Martha Brickman (Clarence), Alma Gray (Angus), Esther Nowack (Clayton). Monday, April 1, from 2-4 and 6-8 p.m.
Tuesday, April 2, at 11 a.m.